Zuant is taking stand at EXHIBITORLIVE! For the first year Zuant is taking a stand at ExhibitorLive! in vibrant Las Vegas at the Mandalay Bay Convention Center. The exhibition is the largest of its kind in North America, bringing together a great mixture of trade show and event products and services to help you “Power Up Your Brand”. The 3rd largest show in Las Vegas, the annual SEMA (Speciality Equipment Manufacturers Association) Show draws 150,000 attendees to drool over the latest mods for rods, trucks and sports cars. The scale of the show is stunning; 1,000,000 sq feet with over 2,000 exhibition stands. A statistic from the Connected conference the other day caught my eye – currently Amazon processes 306 orders per second… Now I'm not suggesting that the same level of heavy processing will be required at shows and events, but it the wifi is always overloaded at events, particularly when there there are analysts blogging and tweeting and exhibitors trying to demo their cloud applications and use cloud based lead capture applications. And recently at Dreamforce the agenda app was cloud based, not native. he key principles behind digital disruption are that it creates new business models, changes value streams, and is faster, more disruption and more pervasive than any earlier change driver we have ever seen. Why? Because it is digital. Mindless scanning badges and random follow-up. Is this really 2014? As usual there was mindless scanning of badges to get you on their database. A good brand experience can be brought down by a single missing link in marketing automation. 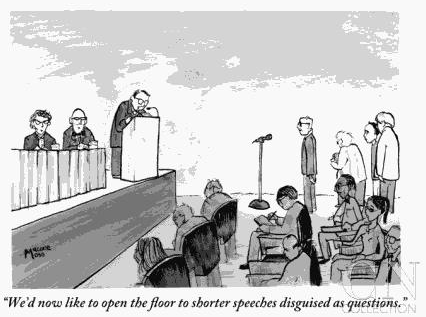 The Fall conference season is starting, but what is your attitude to conferences? Do you sign up as an enthusiastic delegate? Do you feel you need to attend, but resent the time away from the family? Or are you a conscientious objector who stays at home catching up via conference videos and blogs?